Springfield XDS 3.3″ black 40s&w XDS93340BE 3rd mag free – Ellis County Firearms – Waxahachie, TX. 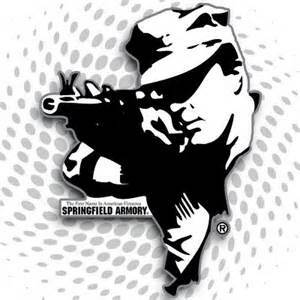 Springfield XDS 3.3″ Black 40s&w, 3rd mag free. Springfield XDS, (XDS93340BE) chambered in 40s&w! Firearm is new in box with all paperwork, lifetime warranty & made in the Croatia! Has 3.3″ barrel, Black Melonite slide, Black polymer frame, Black polymer grips, fixed 2 dot rear Sight w/ fiber optic front sight (red), 2 – 6rd & 1 – 7rd mags, Dual Spring w/ Full Length Guide Rod, Beaver-tail grip safety, loaded chamber indicator, one slot Pictinny rail & weighs 21.5oz. Includes 3 palm straps, spare fiber optic rods, gun lock & lockable hard plastic case. These are part of our Shot Show sale that we got a great deal on. We only received this deal on the 40s&w. We will keep our 365.00 price till they are gone, plus you get a 3rd mag free! Click here to read more on Springfield’s website.